Are you a morning person? I’m definitely not. Getting out of bed isn’t such a big deal for me but being really focused on my work after that is another story. No matter what techniques I use, you won’t get anything good out of me in the morning. And later on in the afternoon, the magic happens. In just a few hours, I’ll cross almost everything from my to-do list and be super productive. Funny how that works! 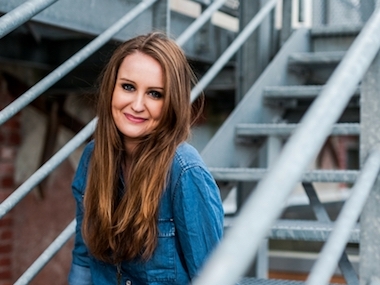 Today I have a recipe that should help you get out of bed in no time, morning person or not. 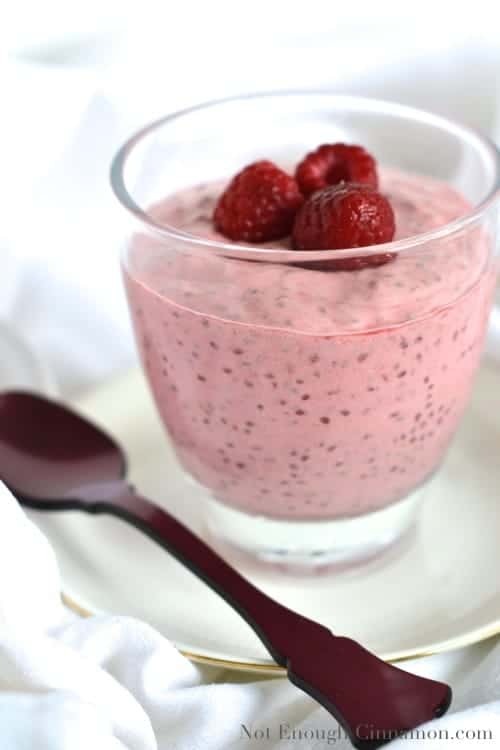 These little Vanilla Raspberry Chia Puddings you see here make a very delicious breakfast you’ll be anxious to eat when you wake up. Having a cup of Vanilla Raspberry Chia Pudding in the morning feels like eating dessert for breakfast… But that’s not the best part – at least for me! Since you did all the work the night before, you’ll just have to open the fridge, grab your Vanilla Raspberry Chia Pudding and enjoy. 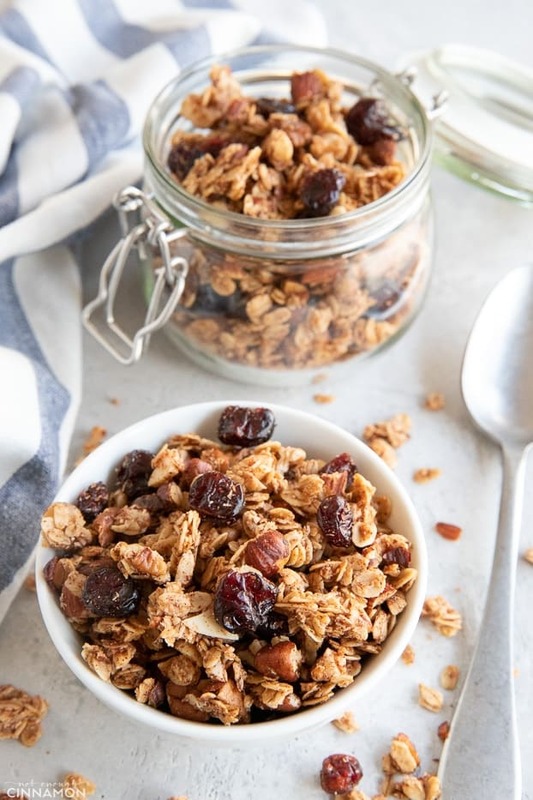 So are you down for a healthy, delicious breakfast with zero prep? I say yes! 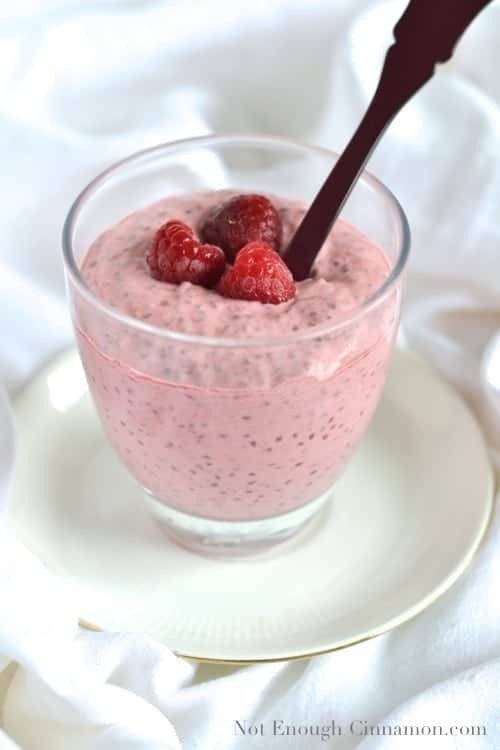 If you tried this Vanilla Raspberry Chia Pudding, don’t forget to rate the recipe below and let me know how it went in the comments – I love hearing from you! You can also follow me on Instagram, Pinterest and Facebook for more deliciousness and behind-the-scenes! 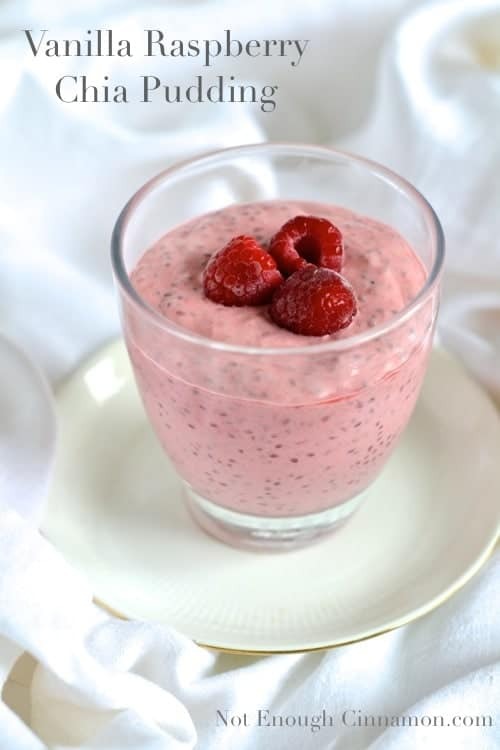 You are going to love this creamy Vanilla Raspberry Chia Pudding! Quickly blend all ingredients before you go to bed, let the pudding set overnight and wake up to a healthy, satisfying breakfast that tastes like dessert! 1 cup milk cow's milk, almond, coconut... your favorite! In the bowl of your food processor or blender, combine all the ingredients except chia seeds and process until smooth. Taste and add more sweetener if needed. Pour mixture into two jars. Add 1.5 tablespoons of chia to each jar. Put the lid on and give it a good shake to incorporate the chia seeds. It will keep two days in the fridge. Oh I’m sure it would be delicious with strawberries too! I love them 🙂 Thanks for stopping by Jessica! Yum! 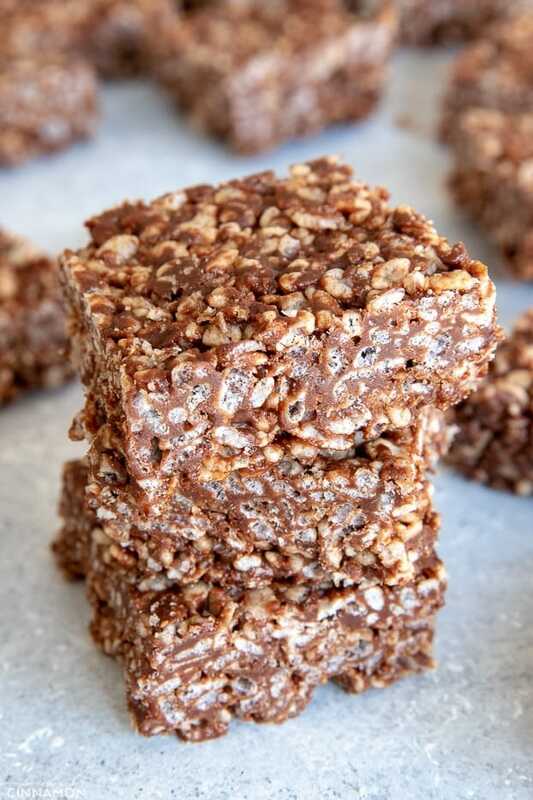 I found your recipe on Pinterest and linked it in a blog post – can’t wait to try it tomorrow! What’s the lemon juice for please? Just seems an out of place ingredient. Found this on Pinterest and am so excited to try it in the AM. Made my first batch tonight and licked the spoon after it was blended, yummy. Can’t wait till AM. Has anyone tried this substituting Truvia or another sweetener instead of honey? You can definitely use another sweetener! This is SO. DANG. GOOD. Haha so glad you liked this little pudding Ana !! I don’t like using the blender or food processor, but due to my poor planning I had an extra 6 ounce container of fresh raspberries that needed to be used up immediately! Luckily I had this in my big recipe binder and did the deed. I ended up adding an extra tablespoon of chia seeds, ’cause I like my pudding to fight back. While that didn’t get it to my desired consistency, it helped. This is really good! Thanks so much for the recipe! Oh fresh raspberries are so delicious! I’m glad you liked this recipe Sherwood 🙂 “I like my pudding to fight back” hahaha thanks for the laugh! When you say coconut milk, do you mean from a can or from the carton (like the almond milk)? I used canned coconut milk! Perfect! That’s what I was hoping 🙂 Thank you! Can you freeze this like an icecream or to make it last longer? I just made your pudding recipe, I have to wait til morning to eat. When i have made others in the past it has been a little runny. Wondering what the key is to thicker whipped pudding? More like a parfait. I blended for longer in food processor this time. Also wondering if I am not letting it set out in room temperature long enough? I am definitely using enough chia seeds. Thank you in advance for your insight. 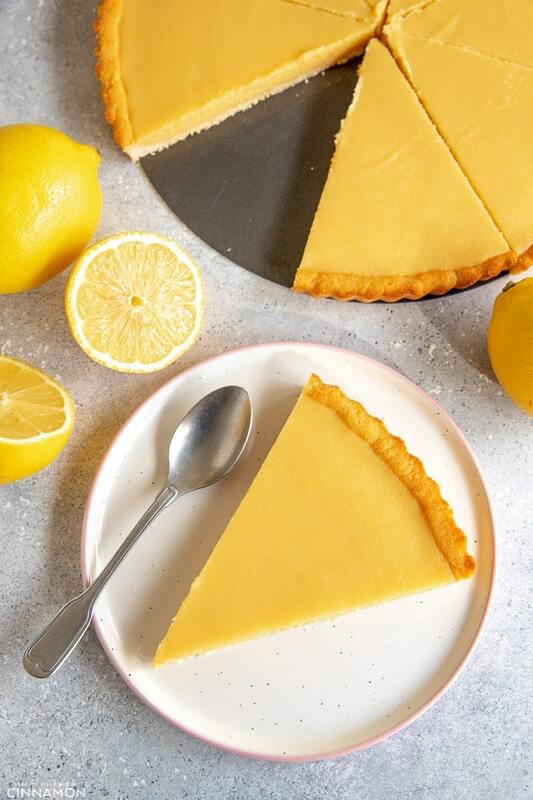 Love the addition of honey and lemon juice! Makes this Vanilla Raspberry Pudding extra special! 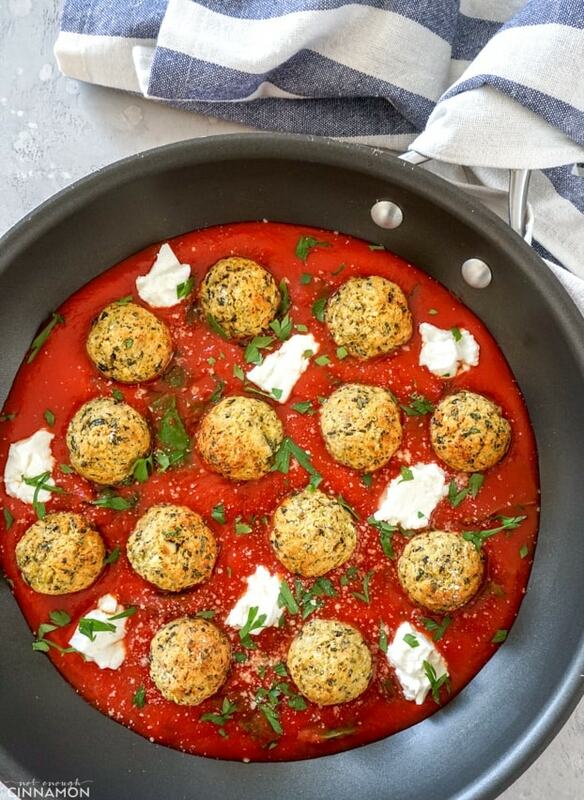 I just made this recip and it’s delicious! I did alter the recipe a bit, using unsweetened coconut milk and used 4TBLS of chia. I also put just a little Raspberry balsamic in it. This set up quickly.